Bay Shore, NY (December 27, 2018) – A two-vehicle crash tragically claimed the life of one person on Thursday afternoon, December 27, according to authorities. The deadly accident took place at the intersection of Union Boulevard and Saxon Avenue at around 1:15 p.m. between a utility truck and a pickup truck. Police have stated that the utility truck overturned after it collided with a pickup for reasons that have not yet been determined. The driver of the utility truck, identified as 53-year-old Gilbert Lollis, of Bellport was ejected from the vehicle due to the impact of the collision. Police along with paramedics were quickly called to the scene where they transported Lollis to Southside Hospital. Lollis was tragically pronounced dead shortly after his arrival. The driver of the pickup was also taken to Southside Hospital, however, he was treated for minor injuries and has since been released. The events that led to this unfortunate accident are currently under investigation by authorities. No further details concerning the cause of the crash or the individuals involved have been provided. Our sincerest sympathies and deep condolences are wholeheartedly extended to the loved ones of Gilbert Lollis, first and foremost. 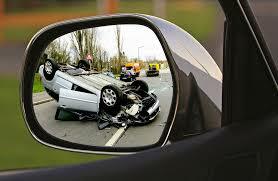 New York car accidents are often fatal or terribly injurious regardless of the size of the vehicles involved. While it can be extremely difficult, it is important for the loved ones of a victim to realize that they may have the right to file for compensation following an unexpected loss. At Hach & Rose, we understand that there is nothing as traumatic as the sudden loss of a loved one. Our dedicated and compassionate New York accident attorneys are here for you 24/7 to answer any questions you may have, as we are passionate about helping victims and their loved ones along the typically difficult path toward obtaining compensation. If you have lost a loved one in a car accident, please don’t hesitate to call 212-779-0057 today.